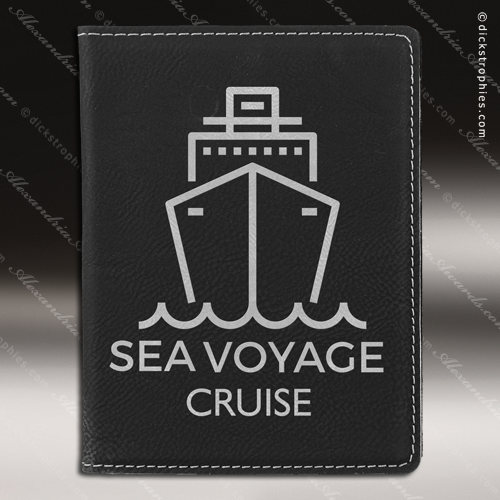 Keep your passport, ID, and credit cards handy while traveling with this gorgeous black Leatherette Passport Holder. 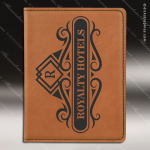 Leatherette passport holders are available in several stunning colors and top stitched all around for a finished look. The inside features 3 separate slots for your passport and other items needed to make travel easier. It can be personalized to gold for a nice contrast using a logo, monogram, or other graphics of your choice. 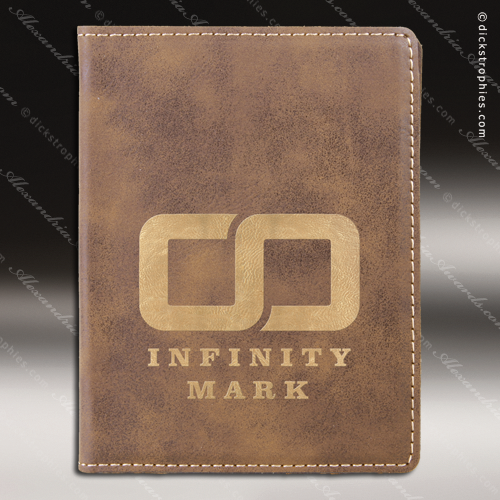 At a fraction of the cost of leather, Leatherette offers a great value in a practical, attractive, and extremely durable personalized gift, incentive or promotional item. Keep your passport, ID, and credit cards handy while traveling with this gorgeous Black/Silver Leatherette Passport Holder. Leatherette passport holders are available in several stunning colors and top stitched all around for a finished look. The inside features 3 separate slots for your passport and other items needed to make travel easier. It can be personalized to black for a nice contrast using a logo, monogram, or other graphics of your choice. At a fraction of the cost of leather, Leatherette offers a great value in a practical, attractive, and extremely durable personalized gift, incentive or promotional item. Keep your passport, ID, and credit cards handy while traveling with this gorgeous dark brown Leatherette Passport Holder. 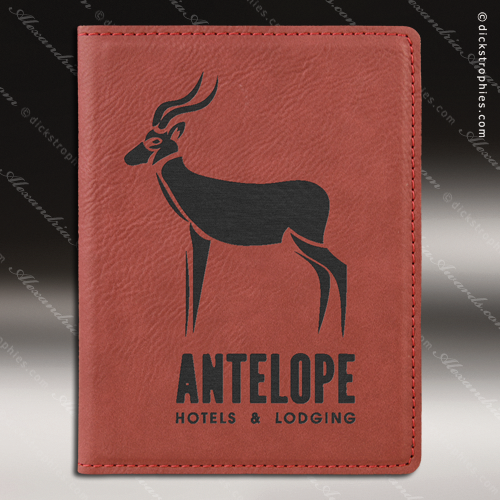 Leatherette passport holders are available in several stunning colors and top stitched all around for a finished look. The inside features 3 separate slots for your passport and other items needed to make travel easier. It can be personalized to black for a nice contrast using a logo, monogram, or other graphics of your choice. At a fraction of the cost of leather, Leatherette offers a great value in a practical, attractive, and extremely durable personalized gift, incentive or promotional item. Keep your passport, ID, and credit cards handy while traveling with this gorgeous Gray Leatherette Passport Holder. Leatherette passport holders are available in several stunning colors and top stitched all around for a finished look. The inside features 3 separate slots for your passport and other items needed to make travel easier. It can be personalized to black for a nice contrast using a logo, monogram, or other graphics of your choice. 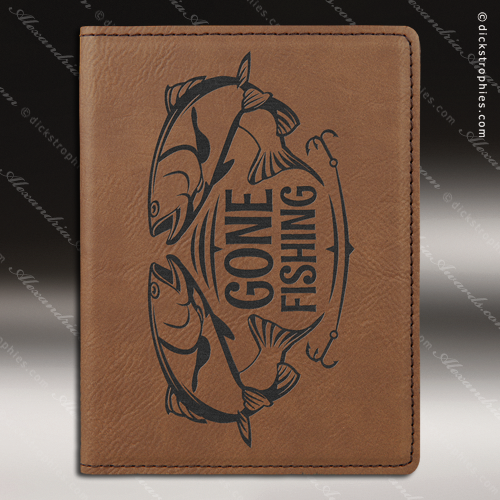 At a fraction of the cost of leather, Leatherette offers a great value in a practical, attractive, and extremely durable personalized gift, incentive or promotional item. Keep your passport, ID, and credit cards handy while traveling with this gorgeous light brown Leatherette Passport Holder. 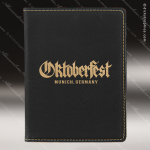 Leatherette passport holders are available in several stunning colors and top stitched all around for a finished look. The inside features 3 separate slots for your passport and other items needed to make travel easier. It can be personalized to black for a nice contrast using a logo, monogram, or other graphics of your choice. 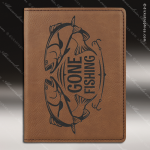 At a fraction of the cost of leather, Leatherette offers a great value in a practical, attractive, and extremely durable personalized gift, incentive or promotional item. Keep your passport, ID, and credit cards handy while traveling with this gorgeous Pink Leatherette Passport Holder. 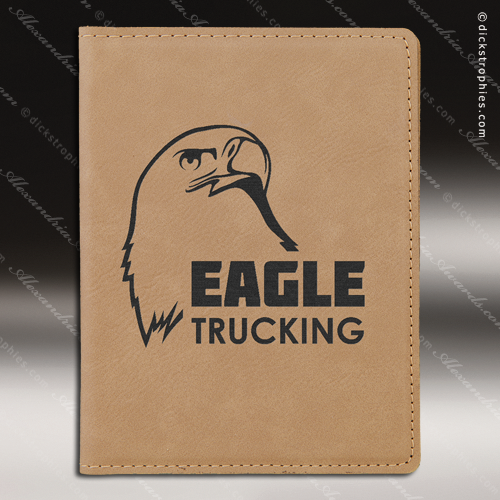 Leatherette passport holders are available in several stunning colors and top stitched all around for a finished look. The inside features 3 separate slots for your passport and other items needed to make travel easier. It can be personalized to black for a nice contrast using a logo, monogram, or other graphics of your choice. At a fraction of the cost of leather, Leatherette offers a great value in a practical, attractive, and extremely durable personalized gift, incentive or promotional item. Keep your passport, ID, and credit cards handy while traveling with this gorgeous Rawhide Leatherette Passport Holder. 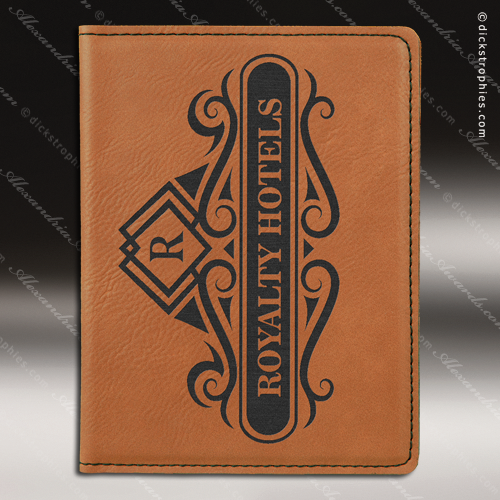 Leatherette passport holders are available in several stunning colors and top stitched all around for a finished look. The inside features 3 separate slots for your passport and other items needed to make travel easier. It can be personalized to black for a nice contrast using a logo, monogram, or other graphics of your choice. At a fraction of the cost of leather, Leatherette offers a great value in a practical, attractive, and extremely durable personalized gift, incentive or promotional item. 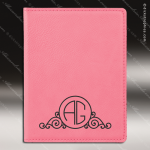 Keep your passport, ID, and credit cards handy while traveling with this gorgeous Rose' Leatherette Passport Holder. Leatherette passport holders are available in several stunning colors and top stitched all around for a finished look. The inside features 3 separate slots for your passport and other items needed to make travel easier. It can be personalized to black for a nice contrast using a logo, monogram, or other graphics of your choice. At a fraction of the cost of leather, Leatherette offers a great value in a practical, attractive, and extremely durable personalized gift, incentive or promotional item. 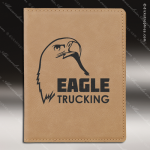 Keep your passport, ID, and credit cards handy while traveling with this gorgeous rustic Leatherette Passport Holder. 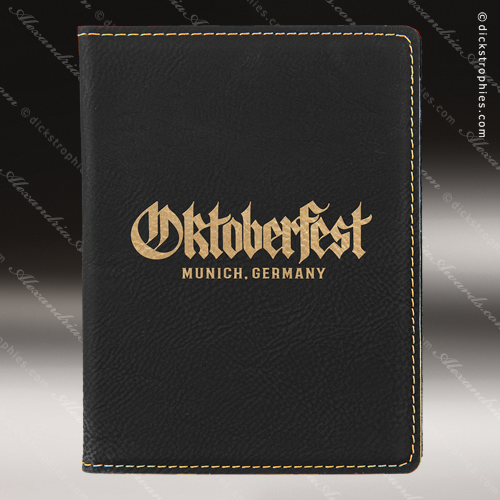 Leatherette passport holders are available in several stunning colors and top stitched all around for a finished look. The inside features 3 separate slots for your passport and other items needed to make travel easier. It can be personalized to gold for a nice contrast using a logo, monogram, or other graphics of your choice. At a fraction of the cost of leather, Leatherette offers a great value in a practical, attractive, and extremely durable personalized gift, incentive or promotional item.